Located in the heart of beautiful downtown Tallahassee, the historic Rutgers House is the perfect space for any office gathering or celebration. The ballroom is a magnificent setting for receptions, weddings, and meetings. 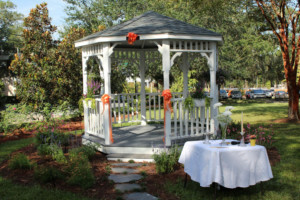 Our gazebo, beautiful brick patio, and picturesque front lawn are perfect for outdoor events. Our private parking lot provides ample parking for your event. The following list details rates for all events. All times include set-up, event, and clean-up. 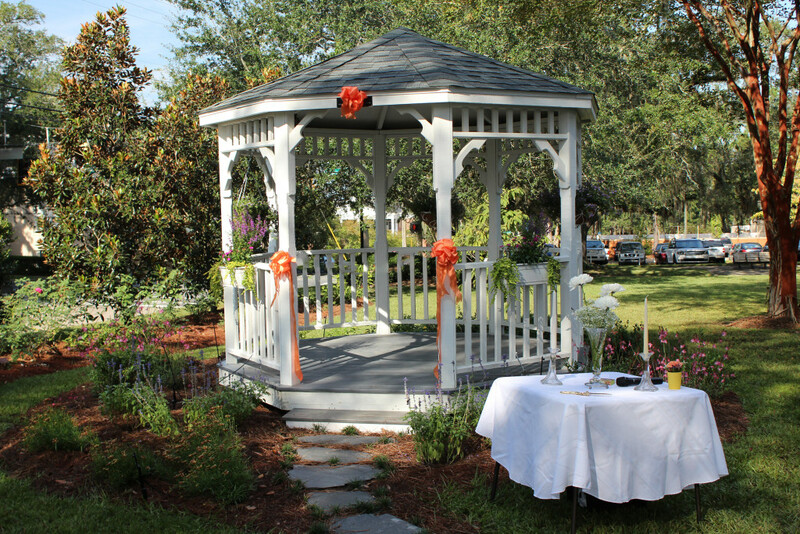 Contact the Venue Manager at (850) 224-3371 for all rental requests and a tour of our beautiful space. Click here to view floor plans of the Rutgers House. For more information on rental policies, please see the Garden Center Rules and Regulations. A six hour rental may not be extended beyond eight hours or it becomes a full day rental. *Additional contracted hours must be booked at the time of contract or no later than 14 days prior to the event and paid for according to the terms of the contract. All other hours will be charged at the uncontracted hourly rate. The Ballroom, Parlor, Trophy Room, Sunroom, Dining Room, Kitchen, Gazebo, Deck, Patio, and Outdoor Areas are included in all rentals. Tables and china are included in rentals at no charge. Gold Chavari Chairs, Chargers and Linens including table cloths, napkins, and chair covers are available for rent. For ALL events, times include set-up, event, and clean up.